The estancias of Torres del Paine offer a rustic and authentic base to explore the national park. Get away from the crowds and experience a true sense of Patagonian life and culture. Estancias are the perfect place to stay for horse riding trips. 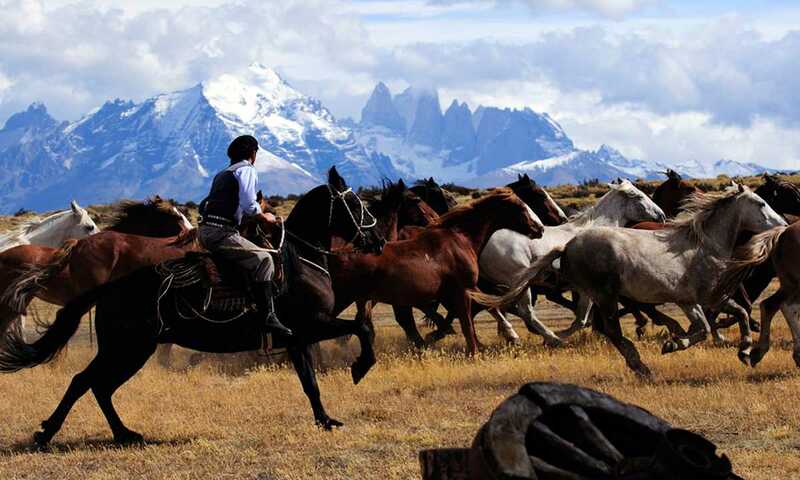 Estancias and gaucho life became ingrained in Patagonian culture following the arrival of the first settlers who came to the area from Tierra del Fuego over a century ago to expand their network of self-sufficient cattle ranches. The estancias (working farms) that border the Torres del Paine National Park are included in many of the multi-day horse riding trips and also make excellent bases from which to journey through the park on guided wildlife trips. As many of the estancias offer a bed and breakfast option, they also work well as an interesting overnight stop on a self-drive itinerary in the park. If you are looking to experience and learn a little about the history, culture and harsh realities of day-to-day life in Patagonia, then a stay on one of these working farms could be just the ticket. 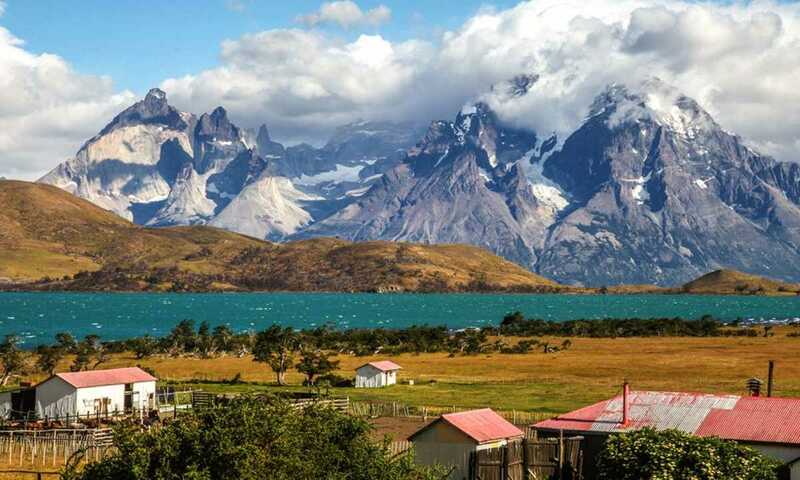 Estancia Cerro Guido is the biggest in Torres del Paine with 101,000 hectares of land. This working estancia has the peace and comfort of a hotel, but with the character of a traditional estancia. You will sleep in houses that display their heritage of the Chilean farmers who once lived in them. A beautiful location on the border of the national park, where you can enjoy horse-riding, a Patagonian barbecue or simply explore the grounds of the estancia. Estancia Lazo is situated just on the border of the national park and is part of a huge cattle ranch dating from the last century currently with 13,000 hectares. It boasts magnificent views over the Laguna Verde as well as the Paine Massif. The rooms are simple yet comfortable and the main estancia house and dining-room-come-bar are great to relax in after a day riding in the park. Across the Ultima Esperanza Fjord lies the quiet Antonio Varas Peninsula, a little-explored wilderness with a beautiful working estancia. You won't find the crowds of Torres del Paine here; the boat over to the peninsula only carries 16 people, once a day. Explore the 19,000 hectares around the estancia, immerse yourself in gaucho culture with the horse rides and sheep-shearing demonstrations, or jump in the estancia's land rover for spectacular views of this remote peninsula. This is a family-run working estancia with breathtaking views of the famous granite towers and eastern side of the Paine Massif. It continues to function as a sheep farm, while many species specific to the region can be spotted among it's 6,500 hectares. Its seven rooms are all in the converted farmhouse and may be simple but are perfectly comfortable. Unwind by the fireplace in the lounge or enjoy meeting other travellers by the barbecue. The hosts provide a warm friendly atmosphere, and there are varied activities on offer here, the most notable being the incredible horse riding excursions. A recently converted old-fashioned ranch house, Las Chinas acts as an annex to the Cerro Guido lodge. It can host up to 14 people in four rooms of two to four bunk beds (extra beds can be added) and has four shared bathrooms with hot water and modern facilities. The real adventure begins outside in the Las Chinas valley, where you can explore the surroundings right from the estancia. After your Torres del Paine trek, this is the perfect place to do a bit of exploring and rest your legs in front of the fireplace. When it comes to horse riding, this cosy guest house has a huge amount to offer. With over 5000 hectares, there are numerous stunning landscapes to explore, and as it only sleeps eight people, you really will feel like you're escaping the beaten track. In a beautiful spot on the shore of Lake Sofia, near a lovely waterfall, this is a very comfortable place to relax with a Pisco Sour after your day on horseback in the national park. There are still some proper, working estancias in the park, like Cerro Guido. It's got 100 years plus of history and you're sitting with the pampas all around and the Paine massif lit up by the sunset and you feel so much a part of the place. Torres del Paine National Park has a large range of accommodation to choose from. Stay at a refugios or campsites for a fun and traditional trek experience. Escape to a luxury lodge for tranquillity and incredible views across the park or gaze up at the stars from your yurt/dome.